Why donkey milk soap is natural beauty soap? Soap is one of the obligatory bath fittings in the bathroom. Almost all people have soap at home and almost everyone can certainly always use soap when he was about to shower. The main function of soap is to cleanse themselves of various kinds of dirt and germs. Because it has a function or role that is so important for sure everyone will need. The basic functions that initially only soap to cleanse the body, has now shifted and is more than just body cleanser dirt. Maybe you know the natural beauty soap. Our donkey milk soap is gentle on skin, safe and suitable for infants, and great for dry, itchy or sensitive skin. 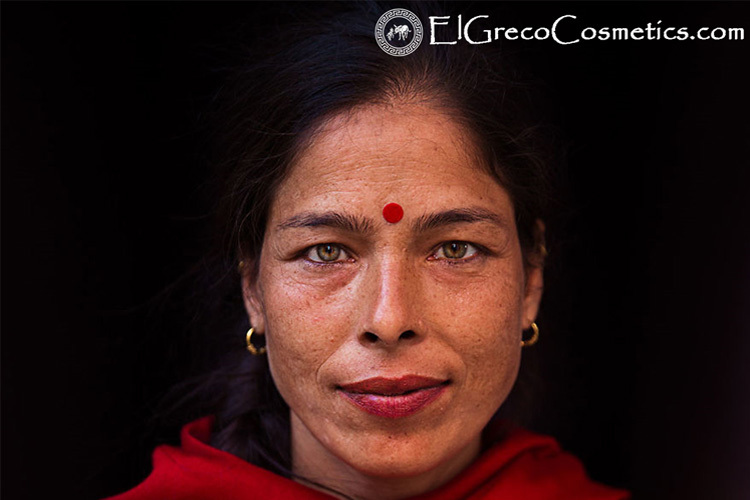 Average soap can dry out and irritate skin but El Greco cosmetics donkey Milk Soap as natural beauty soapis far from average! Blended exclusively with donkey milk, sustainable palm oil, olive oil, coconut oil and castor oil, you’ll feel as good about using it as your skin does. Carefully formulated to be 100% of natural origin and free from sulphates, petrochemicals, phosphate and animal fat. Donkey milk soap is a natural beauty soap be cause moisturizes the skin and keeps it soft. 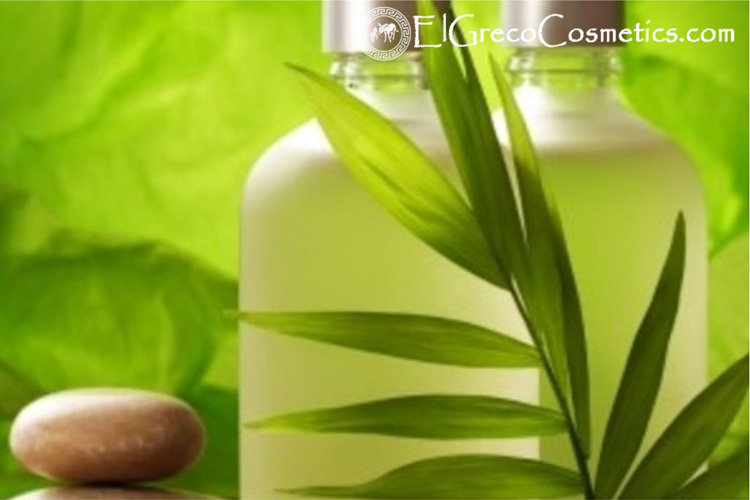 We know the properties of Donkey milk containing AHAs (Alpha Hydroxy Acid) is a natural moisturizer. Moisturizes the skin and keeps it soft. It banishes the skin dryness by leaving it moisturized all day! Donkey milk soap is made up of 100% natural ingredients. Donkey milk soap is made of 100% natural ingredients such as olive oil, palm oil, coconut oil, castor oil and of cause the key ingredient which is fresh donkey milk. Each of them has its own cosmetic properties. EVERY SINGLE DONKEY MILK SOAP IS MADE USING INGREDIENTS 100% OF NATURAL ORIGIN, FREE FROM HARSH CHEMICALS & GENTLE ON SENSITIVE SKIN. Donkey milk soap Exfoliates skin. Donkey milk soap cleanses skin and exfoliates dead skin cells. Donkey milk soap is gentle on skin and feels nice. Donkey milk soap balances the oil content of the skin. Donkey milk soap as natural beauty soap keeps your skin’s oil production under control without causing any tightness or irritation. Donkey milk soap repairs skin. Donkey milk soap repairs dark spots due to acne, age spots, freckles, sun-damaged skin, and other skin pigmentation, while gradually lightening your complexion to show the radiant skin beneath. Donkey milk soap lightens up the face. Donkey milk soap evens out the skin tone and brings a smooth feeling. Donkey milk soap reveals even skin by gently smoothing away dark spots, discoloration, and other imperfections. Donkey milk Soap as a natural beauty soap doesn’t really make your skin whiter (it is not a colorant) BUT it does make it clearer and looks healthier. Donkey milk soap reduces the appearance of aging, maintain skin suppleness and reduce the appearance of wrinkles. It nourishes your skin to let its natural beauty shine through! It also removes the appearance of skin blemishes and begins brightening your skin! Donkey milk soap is antibacterial. Donkey milk soap tones skin. Donkey milk soap penetrates the top layer of skin causing light and easy exfoliation showing your beautifully even toned skin. Donkey milk soap is a peeling for healthier, younger and brighter skin. Donkey milk soap loosens clogged pores and kills acne bacteria while causing light exfoliation for a fresh feeling cleanse. Donkey milk soap cleanses and refreshes tired skin. Donkey milk soap naturally heals and clears the skin. Donkey milk soap is full of vitamins A, B, and C which help to heal and clear the skin. Donkey milk soap lightens & eliminates skin pigmentation. Donkey milk soap gently lightens & eliminates skin pigmentation that causes age spots, acne scars, and blemishes. THERE’S A NATURAL BEAUTY SOAP FOR EVERYONE THAT WILL LEAVE SKIN FEELING WONDERFULLY SOFT AND SMOOTH… NATURALLY! Our natural beauty soap is recommended for daily use to get a supple, healthy and glowing skin. 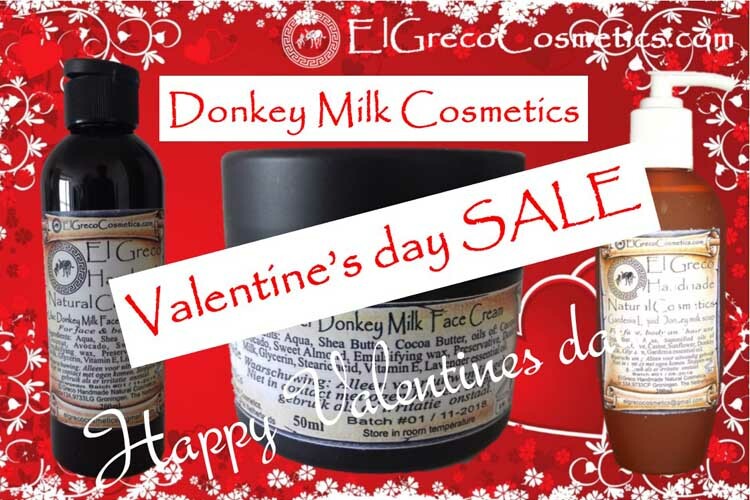 Why El Greco cosmetics all natural donkey milk soap? WE DON’T COMPROMISE ON OUR QUALITY, AND NOR SHOULD YOU SETTLE FOR ANYTHING LESS THAN THE HIGHEST STANDARD FOR YOUR FAMILY. Get social with natural beauty soap! Find more about why donkey milk soap is a natural beauty soap.